Travel in the footsteps of the reindeer in search of auroras, adventure and ancient Arctic cultures. 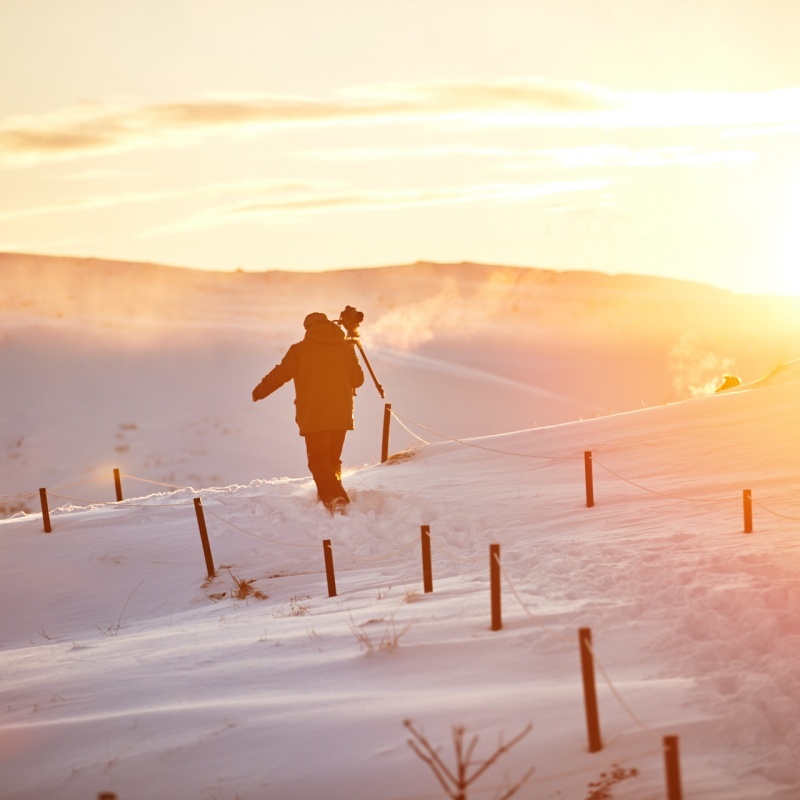 Join us for 14 days immersed in the warm culture and winter landscape of Swedish Lapland. 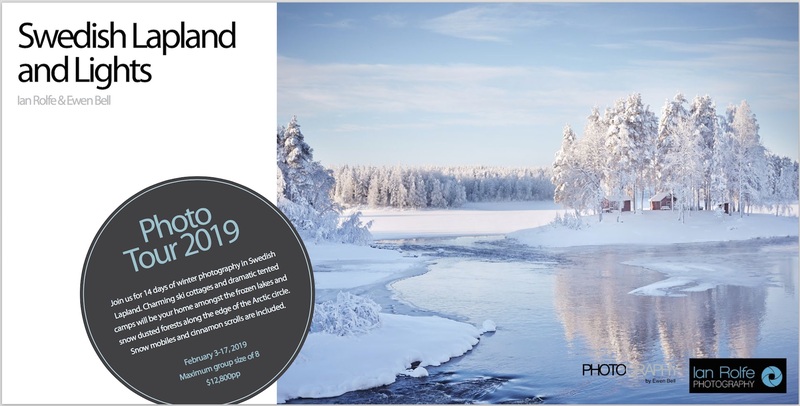 Absolutely unique photographic journey into Arctic Sweden while enjoying the very best of Lapland hospitality. Our close relationships with local photographers, guides and Sapmi people makes this journey one you won't want to miss out on. Our tour begins at Kiruna Airport (KRN) where we meet the group from a Stockholm flight and then head west along Lake Torne to the skiing village of Björkliden. We have some cabins here that overlook the lake and the “Laponnian Gates”. We have four nights dedicated to shooting the Aurora, with great locations on offer for photography a short walk up the hill or even right on the balcony of your cabin. One night is dedicated to visiting the Sky Station at Abisko, riding the chairlift high above the lake and dining beneath the stars while we await the auroral activity. We will also get familiar with snow mobiles during the day and visit some beautiful landscape locations when the sun is glistening off the snow. We follow the iron roads to the town of Kiruna, famous for the impressive Ice Hotel. We make a day visit to explore and photograph the cool colours inside, and then head for a warm cabin and sumptuous dinner. On our way out of Kiruna the next day we also make a stop at the gorgeous wooden church. The next two nights are in a very remote part of Sweden, inside the Stora Sjöfallet National Park. This hidden piece of Lapponia offers some dramatic mountains and clear skies, inspiring us for auroras at night and frozen landscapes during the day. Reindeer herders have worked this land for thousands of years, and still do today. Jokkmokk is the centre of Sapmi culture in Sweden, where language and crafts are taught to the next generation. We will enjoy the cultural exploration of local Sapmi people and have plenty of time to explore the museum and the seasonal cream filled buns known as Semla. We have a favourite place for aurora chasing in the event of a good forecast too. This will be the most adventurous part of the journey, spending two nights at the tented camp with hot chocolate and a burning fire to keep warm. Nothing is quite like stepping out of a snow covered tent and seeing the stars high above with the colours of the aurora swirling above. The Aurora Safari Camp is located on the edge of a frozen lake with wonderful access to open skies for aurora chasing at night. Dog sleighs and snow shoes are another feature of our time here, plus we meet a reindeer herd on our way to the camp. Our adventure continues across the snow and ice as we head through the landscape to our seaside cabins, winding through forests and over rivers on the snow mobiles. There are some amazing stops along the way to shoot, and on the second day we take the snowmobiles out to the edge of the pack-ice to photograph the ever changing formations. Our final nights here will offer easy access to clear skies for aurora photography again. We will be able to get you back to Luleå Airport (LLA) in time for the midday flight to Stockholm, or we can drop you in town if you want to extend your time in Swedish Lapland. If you have a few questions and want to chat to Ewen, just click the button below to complete the booking form and deposit. Once you've paid the deposit of $2,800 your place on the tour is confirmed. If you wish to upgrade to a single room we can add that to your booking as well.